Trap-neuter-return, or TNR consist of the capture, sterilization, and release of feral cats in order to control the population of feral cat colonies. Either local animal control or a caregiver who has been feeding the cat will use a live cat trap with food inside to procure the animal. Then, the cat is transported to a veterinary facility or animal shelter to be examined and spayed or neutered. In many cases, the cat may also receive vaccinations such as those for rabies. Treatments for common feline medical conditions such as deworming medications are sometimes also available. Often, clinics will perform a procedure called “eartipping”: a small segment of the tip of the ear is cut in order to identify sterilized cats. 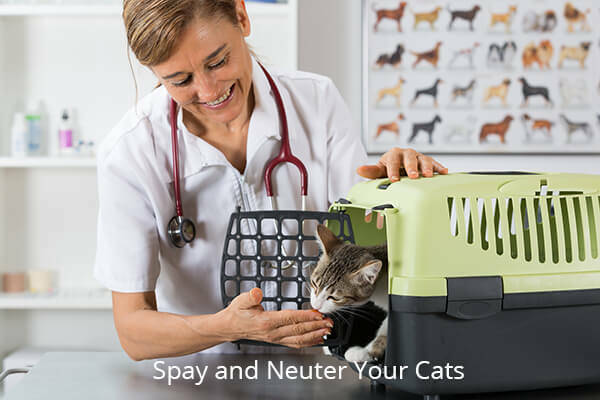 This practice prevents readmission of cats who have already received a vasectomy or hysterectomy. After a short stay in the clinic of one or two days, an adult cat is then returned to its original habitat where it was trapped. A kitten or stray cat is instead taken to a shelter to be cared for until adoption. What are the pros and cons of such programs? Trap-neuter-return provide communities with a solution to ever-increasing numbers of stray and wild cats. With a committed caretaker providing necessary food and shelter, feral cats who have been involved in a TNR program may have a lifespan of up to 10 years. Eventually, the colony will reduce since the individuals are no longer able to reproduce. In a complete absence of the colony, a new one would take its place, utilizing the resources the old one left behind. This fact makes trap-and-kill methods less effective than TNR. Feral cats who have undergone a TNR program, and are properly cared for, are useful for reducing rodent populations on farms and near restaurants and homes. 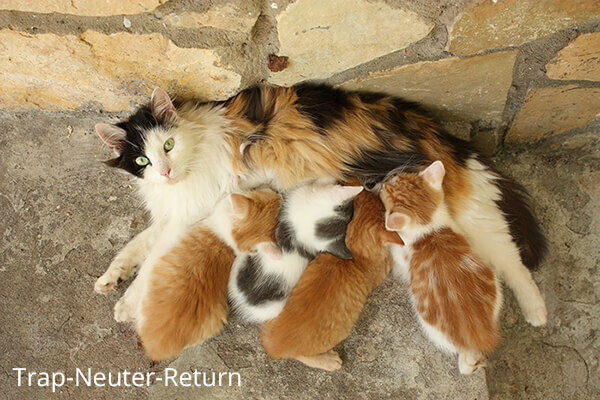 Due to their wild behaviors, most feral cats are rarely accepted into shelters and cannot be adopted; fix and release programs offer both these cats and the community a less disruptive solution than euthanasia or relocation. In most areas, TNR programs are usually preferred to trap-and-kill since they are humane and cost roughly $60 as opposed to euthanasia, which costs around $100. Animal shelters that house feral cats, instead of adopting TNR, spend taxpayer funds and end up having to euthanize most of the cats due to low adoption rates. Feral cats who are released back into the wild may develop diseases and infections such as feline AIDS, feline leukemia, upper respiratory infects, and anemia. Fleas, ticks, worms, and other parasites can cause unbearable discomfort and even illness. Feral cats are also subject to the elements, including extreme heat, freezing temperatures, and oncoming vehicles. Predators are yet another risk to their wellbeing; domestic and wild dogs, other cats, birds of prey, and even cruel humans may attack feral cats, injuring or killing them. Starving or consuming tainted prey, such as mice that have eaten poisons, are also likely causes of harm. In some cases, feral cats also pose a danger to humans: rabies, toxoplasmosis, typhus, and even bubonic plague. Cats left to their own devices in the wilderness will also decimate bird, small reptile and mammalian populations due to an innate instinct to hunt–hunger is often irrelevant. 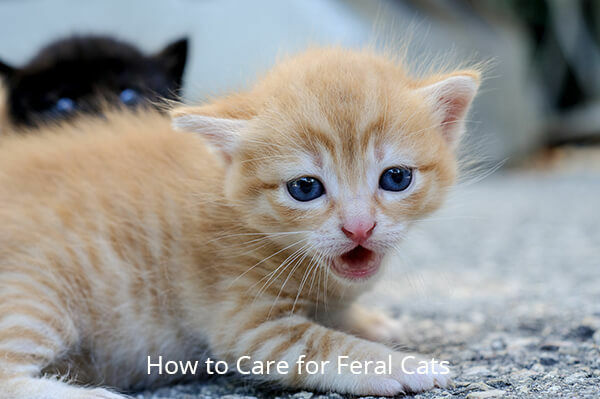 In the event there is a caregiver who is consistent in meeting the needs of these cats, feral cats can live long, peaceful and fulfilling lives in their natural habitat. However, they are still somewhat at risk of the many dangers that come with living outdoors and still pose a risk to humans. For the benefit of local communities, TNR programs are more likely to bring significant changes to the local population of feral cats; trap-and-kill programs will lead to other colonies occupying the previous one’s habitat due to available resources left behind. Fix and release programs only work if the entire colony is sterilized and there are consistent food and water sources made available. Not only will feral TNR populations reduce over time, they will avoid traveling in search of resources, virtually eliminating the spread of pests and diseases beyond their current colony area. 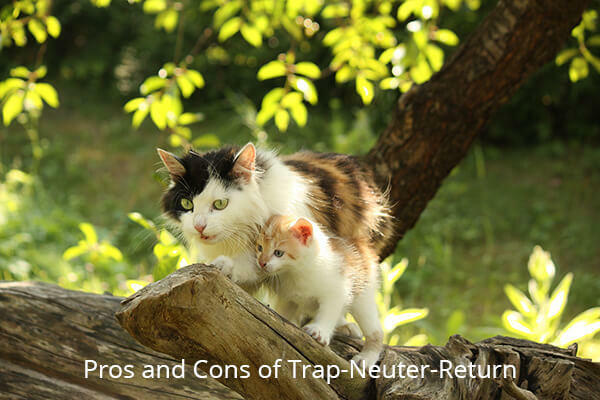 Common alternatives to Trap-neuter-return programs include trap-and-kill programs and relocation. Trap-and-kill programs aim to reduce local populations of feral cats by euthanasia; however, these programs only lead to new feral cats–who have not been spayed or neutered–moving into the area and utilizing existing resources. Also, there are many advocates for these cats that deem trap-and-kill programs cruel and inhumane. Relocation places the feral cats in another area, creating the same concerns as to whether or not this method is truly effective at reducing feral cat populations as trap-and-kill but with its own problems as well, including increased rates of starvation and disease. As animal shelters have housed many a feral cat, they have realized the financial burden on local taxpayers and charity organizations is much greater when a fix and release program is not implemented. Shelters provide food, housing, and veterinary care and attempt to acclimate feral cats to humans. When they cannot be adopted out of the system or cared for after a certain amount of time, the cats are euthanized, which is another large cost to the community. Overall, it is much simpler and cheaper for local shelters and governments to implement fix and release, or TNR, programs. 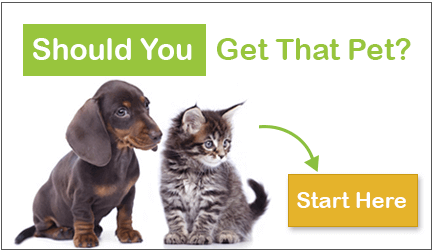 Trap-neuter-return programs are funded by charity organizations, local government agencies, and communities. Some city and county governments in the following states have established and implemented fix and release programs for feral cats:Arizona, California, Colorado, Connecticut, Delaware, the District of Columbia, Florida, Georgia, Illinois, Indiana, Kentucky, Louisiana, Maryland, Nebraska, Nevada, New Jersey, New Mexico, New York, Oklahoma, Pennsylvania, South Carolina, Tennessee, Texas, Utah, Virginia, Washington, and Wisconsin. Local animal shelters may also provide vouchers which reduce or eliminate the costs to spay or neuter feral cats. Why Is My Cat Peeing Outside Its Box? ← What is the Largest Rabbit Breed?